How many times have you whipped out your smartphone to record something but forgotten to pay attention to whether you’re recording in landscape or portrait? In the heat of the moment, it might not seem too important – all you want to do is commit the footage to memory so you can review it later. 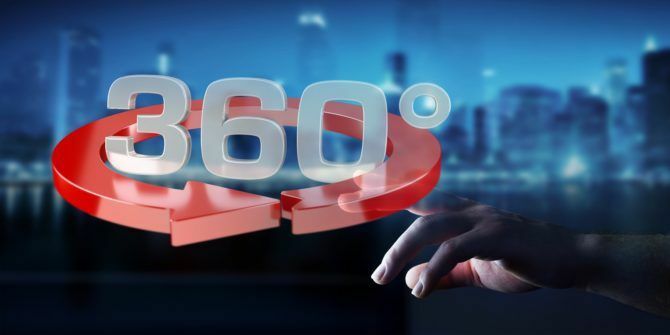 But when you’re back at home and watching your video, it can be frustrating if you’ve not recorded your video in the best orientation for the situation. For example – do you want to re-watch an important college lecture If You Watch Lectures on YouTube, You Need This Chrome Extension If You Watch Lectures on YouTube, You Need This Chrome Extension Anyone who watches lectures on YouTube will benefit greatly just by installing this simple but useful plugin for Chrome. Read More in portrait mode? Or a selfie video of your gran singing in landscape? Of course not. In this article, I’m going to look at how to rotate videos on both a Windows and Mac computer. Keep reading to find out more. There are two ways to rotate videos on Windows. One uses the ubiquitous VLC Media Player 6 Awesome VLC Features You May Not Know About 6 Awesome VLC Features You May Not Know About There's a reason VLC is called the Swiss Army Knife of media players. This article identifies six awesome VLC features and explains how to use them. Read More ; the other uses Windows Movie Maker. The simpler method uses Movie Maker, so I’ll explain that one first. I’m going to use a short clip of Ajax soccer fans 8 Super Websites for Soccer Fans 8 Super Websites for Soccer Fans A list of eight of the best websites all soccer fans should bookmark. Some specialize in news, others in opinion, some focus on goals, others on statistics. All are valuable repositories for the beautiful game. Read More in Amsterdam throughout my demonstrations. I recorded the video on my phone a few years ago. Before I explain the methodology, be aware that Movie Maker is not a native app Windows 10 How to Replace Windows Essentials in Windows 10 How to Replace Windows Essentials in Windows 10 Are you using default Windows apps to view photos, manage email, or edit videos? Windows Essentials apps will be deprecated in January 2017. Replace the apps on Windows 10 with these third party alternatives. Read More . Microsoft rolled it into Live Essentials back in 2012, but ended support for the productivity suite in early-2017. It is no longer available for download on Microsoft’s website. You can still find copies of Live Essentials floating around on third-party sites, but the install process will fail; it tries to contact servers that don’t exist anymore. As such, you need to grab a copy of Windows Movie Maker 2.6. It’s the last version of the software that you can install as a standalone app. Once you’ve located, downloaded, and installed Movie Maker 2.6, fire up the app and click Import Video in the left-hand column. If you cannot see the option, click the Tasks icon at the top of the screen. Next, find the file on your hard drive and click Import. The import process might take some time, depending on the size of your file. When it’s finished, you will see your video in the Collections panel. Drag and drop your video into the Storyboard. It’s the wide panel along the bottom of the app’s window. Now right-click on your video and select Video Effects from the context menu. The app will display an extensive list of tools. Scroll down until you find the rotate option. Click Add, then click OK. If the rotation was successful, you’ll see the correctly orientated video in the top right-hand corner of the app’s home screen. 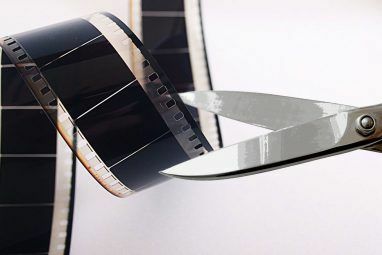 To save your newly rotated video, go to File > Save Movie File and click through the various on-screen options. When you get to the Movie Settings screen, make sure you select Best Quality for Playback on My Computer. 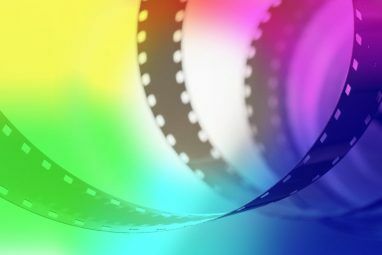 The other options should only be used when you want to reduce the file size of a video How to Easily Compress Video Files for Web with Movie Maker How to Easily Compress Video Files for Web with Movie Maker High-quality videos can take an eternity to upload, especially if they are long. Nobody has time for that. 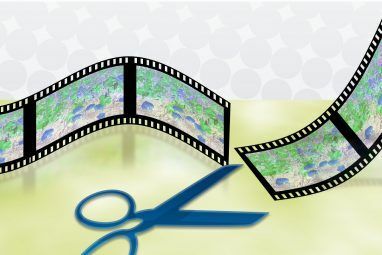 Here's how to use Windows Movie Maker to compress video files for the web. Read More . Using VLC is much more complicated. However, given the difficulty of finding Windows Movie Maker, it might be the only choice for some users. Open your incorrectly orientated video in the app and head to Tools > Effects and Filters. Click on the Video tab, then the Geometry sub-tab. Now you have two options. You can either mark the checkbox next to Transform if you want to rotate your video by standard increments of 90 degrees, or you can choose Rotate to change the orientation by just a few degrees at a time. Hit Close when you’re ready, and you’ll see your newly-altered video in the player’s main window. However, you need to save the changes to make them permanent. Sadly, it’s not as simple as merely hitting a “Save” button. Go to Tools > Preferences and choose All under Show Settings in the bottom right-hand corner. Scroll down to Stream Output > Sout Streaming. In the panel on the right, choose Rotate Video Filter and click Save. Next, go to Media > Convert / Save and use the Add button to select the original file. Finally, choose Convert from the drop-down box in the bottom right-hand corner, select the save location in the Destination box, and click Start. Again, the save process could take a few minutes, depending on the size of the file. On older versions of OS X, you had to use iMovie and a third-party plugin in to rotate videos. That’s no longer the case – Apple has built the functionality directly into QuickTime Player. The process is now even simpler than performing the same task on Windows. Firstly, use Spotlight 7 Useful Things You Probably Aren't Using on Your Mac 7 Useful Things You Probably Aren't Using on Your Mac Better plan your day, quickly find what you're looking for and multitask like a boss — here's a look at seven excellent OS X features that you're probably not using. Read More to find the QuickTime app. Open it, and you’ll be prompted to select a file. Choose the file you want to rotate. Now head to the Edit menu. In the middle of the menu, you will see four options: Rotate Left, Rotate Right, Flip Horizontal, and Flip Vertical. Choose the correct option for your needs. In my example, I need to rotate my video to the left. You can save the file by going to File > Save. If the save function is unavailable, you can also head to File > Export and select your preferred video quality. Lastly, give the file a name and click Save. How Do You Rotate Videos? I’ve shown you two methods for rotating videos on Windows and one for Mac. All the methods are straightforward once you’ve practiced them a few times. Are these the methods you use to get your videos into your preferred orientation? If not, how do you get the desired format? What apps and software do you use? As always, you can leave all your feedback, input, and questions in the comments box below. Explore more about: QuickTime, Video Editor, Windows Movie Maker.